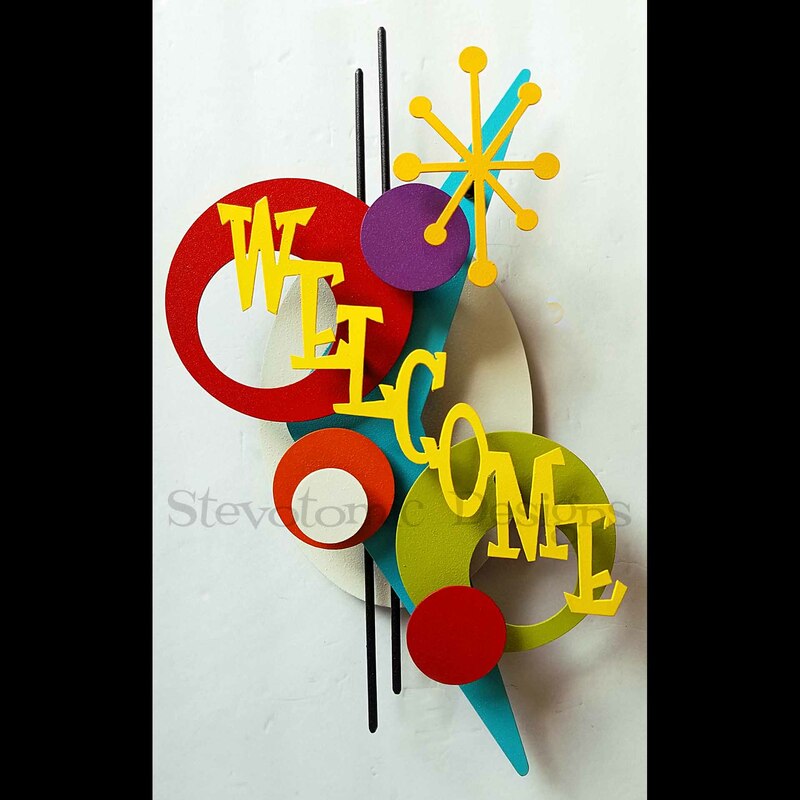 15" x 8 1/2" dimensional steel welcome sculpture designed for interior use. Hangs with two picture hooks. Made to order so slight variations may occur. Colors changes can be requested at time of order.